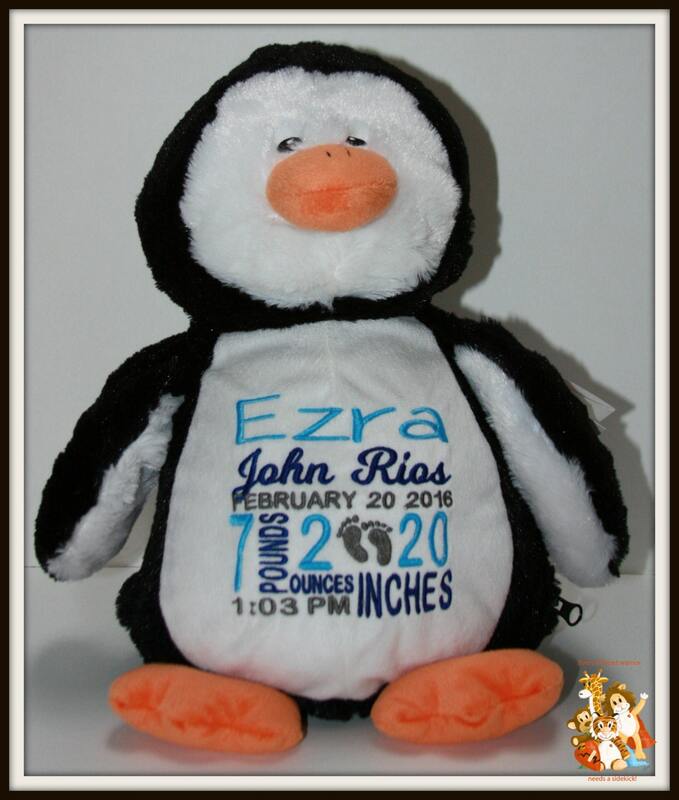 Birth stat pets are perfect for new baby gifts, birthday presents. Any of the pets can be used for birth stats. 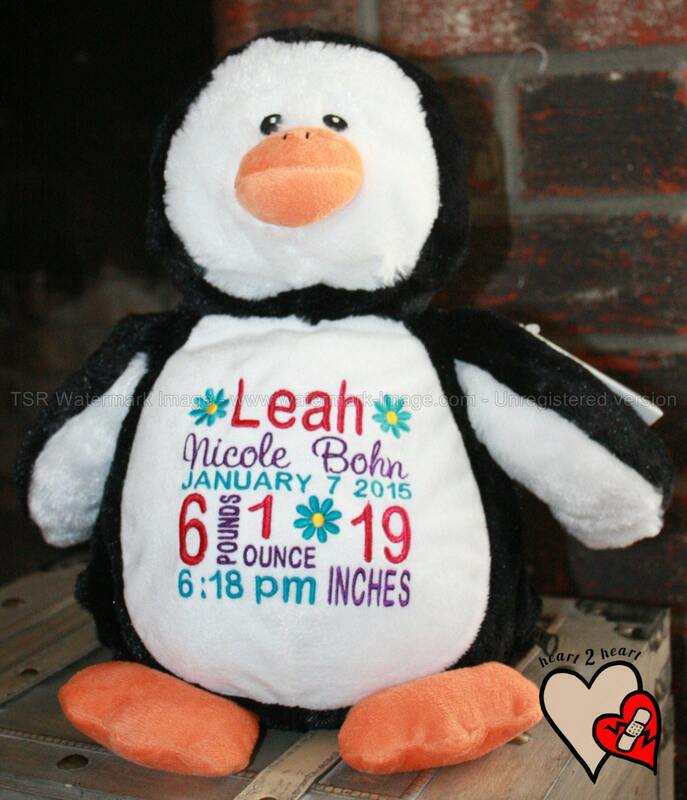 Makes a really nice keepsake for new parents. 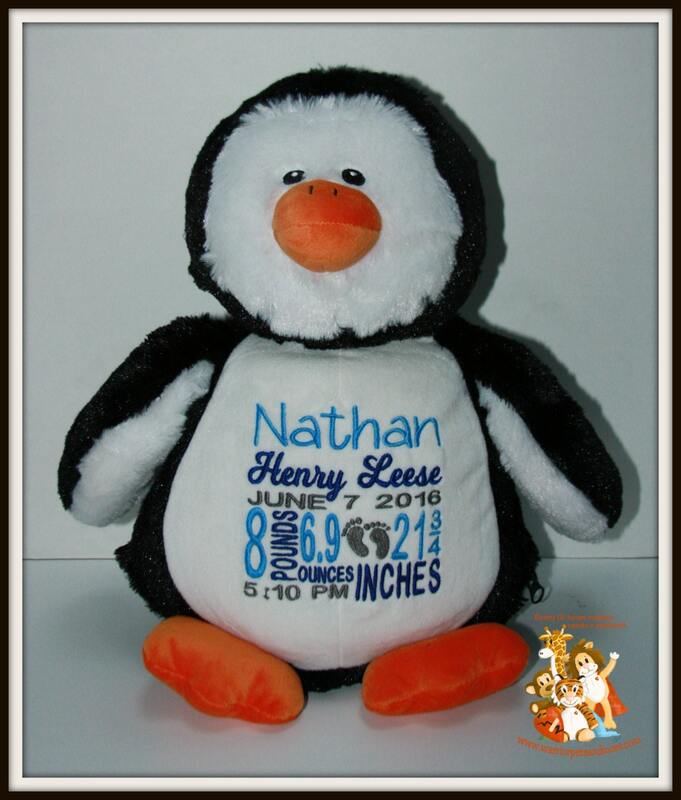 Depending on the length of the name, add on designs (flower, stars, baby feet, hearts) may not be added, please ask prior to purchasing, Three color preferences for embroidery can be added in the comment box when ordering along with the information to be embroidered.